Newsletter | MiniatureGarden.com for Everything Gardening in Miniature! 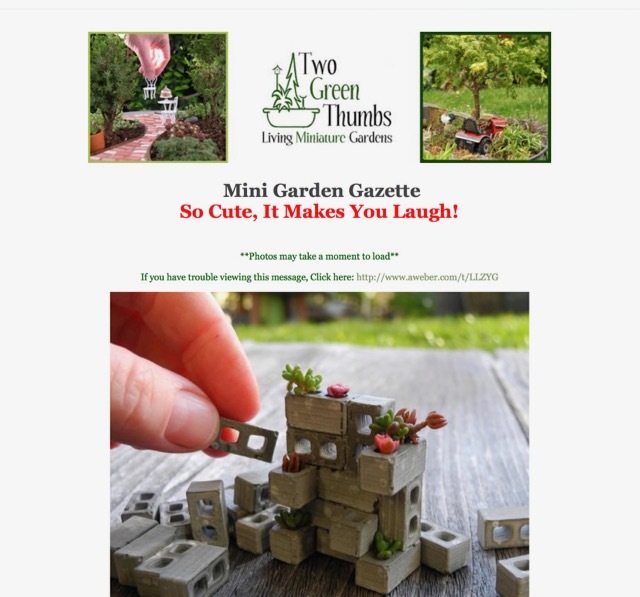 The world’s only miniature garden newsletter! Join thousands of other miniature gardeners from around the world for your weekly Mini Garden Gazette delivered straight to your inbox each Friday! Fill out the form to your right and confirm your subscription through your email!